Over the years I have accumulated streams of income in hopes of retiring my main source - the horrible Full Time Job. I am not there yet. There is a learning curve. Times and needs change and you grow with it. When I was pregnant with Princess, I was outraged. Outraged by how little I could really be supported so little by our county as an expectant mother. While other countries that we consider "less" than us offered 9 months or more paid maternity leave, I was left with a measly 6 weeks at 70% pay (and it got worse with each additional pregnancy). I was terrified of leaving my daughter for the entire day even though she would be with her grandmothers who love her just as much as I do. At the time was what you may have considered "Crunchier" than I am now. Attachment parenting was not going to work if I was in an office all day! I scoured the internet and library looking for solutions to my problem. I even reached out to women I knew were successfully doing what I wanted (which is way out of my comfort zone!) I wanted to know what other mothers had done. I couldn't be the only one feeling this way! Many women feel this way when they have a baby, even if it comes by surprise. But few had answers for me. Women who needed the second income either gave in (like I eventually did) and went back to work, made deep sacrifices to stay home with their children (sacrifices that we could not afford to make at the time - or so we thought, anyway...) or they worked from home. Working from home became my goal. But what would I do? The options seemed very slim. Other women suggested making things for money. Making what? I always wanted to have a handmade business, but I couldn't see myself talking a baby with me to never ending craft shows to sell my wares ( I had not yet discovered the brilliance of Etsy or other handmade venues online). I also thought that the type of money to be made from a business like that was going to be very little. Then there are the call center and transcriptionist jobs. They would be ideal for someone who didn't have a screaming infant and had a quite place to conduct business. That's wasn't me...that still isn't me. These jobs can be very lucrative and I definitely think you should look into them if you are looking to make decent hourly wages from home. It just would not work for me. If you haven't read about it here before, we share a home with my husband's parents. We are the new multi-generational family type that has come from our suffering economy. It's a nice sized home, but space is quickly dwindling. When Princess was born we were in the process of converting the office from which the family business was run from into her bedroom that she didn't even live in for almost 2 years. The business (that my mother and father in law run) headquarters has been shifted to another room downstairs. Our bedroom is our bedroom/office/storage/catchall. 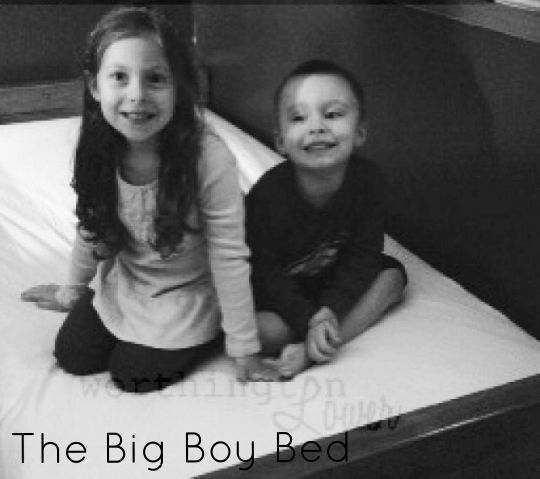 When my husbands sister moved out after having Little Man, we moved into that room so that Little Man could have a room to himself. Now the older two children have their own rooms, we have a room that Booboo shares with us (for now) and my in-laws have a room. There isn't much space beyond that that isn't living space. We are currently looking at consolidating any storage and extra stuff to see if we can renovate the basement to be storage/office area/ playroom, which would open new possibilities for us, be we are also not a point where we can afford renovation. My husband just graduated from college for the second time and is currently interning with a very nice financial company. The job search is on, but it's tough. We also have been living off of my small incomes and student loans so we are in a huge transition financially. It feels like we are always fighting at least one uphill battle. The other option that seemed to float around on forums was creating streams of income for yourself. But who wants to do that? Who wants to scatter their talents, time and attention over many different projects? It always sounded so chaotic to me. I wanted ONE thing that I could focus on and make it work for our family. I had toyed with the idea of blogging for years. I had originally considered it in 2006-2007 and I kick myself for not jumping in then. It is what it is, but bloggers who started before 2009 had a huge advantage and I didn't have kids yet. I could have poured my heart and soul into it...but what would I have written about? My life is my husband and children and our family. I would have had nothing to talk to anyone about. Things happen the way they do for a reason. This has been long and turned into a jumble of feelings and explanations. However, it has lead me to the point I wanted to make all along. 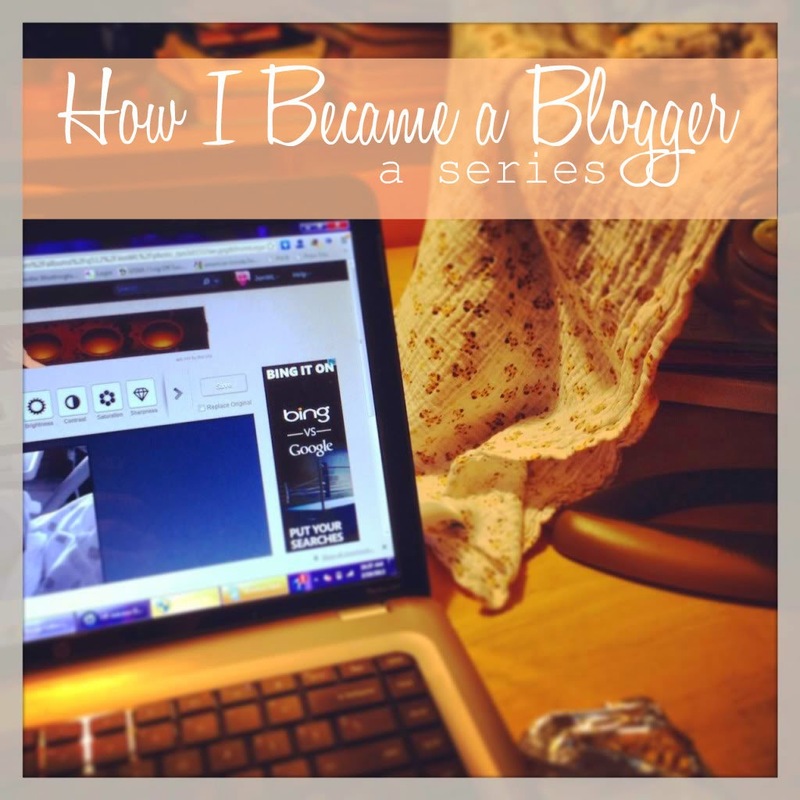 I wanted to tell you how I became a blogger and how it has affected myself and my family. Good and Bad, because there is both. Always. In my next post I will tell you how I became a blogger and I will discuss how that has been a launchpad for other endeavors which also turned in to the dreaded streams of income I was looking to avoid (but it isn't bad like I thought).